Data Science is a blend of various tools, algorithms, and machine learning principles with the goal to discover hidden patterns from the raw data. Data Science is primarily used to make decisions and predictions making use of predictive causal analytics, prescriptive analytics (predictive plus decision science) and machine learning. Data science involves automated methods to analyze and understand massive amounts of data. Why KaaShiv InfoTech Company to learn Data Science Training in Chennai? Kaashiv provides Best Data Science Training in Chennai with professional trainers who provide real-time training and also projects to the candidates for better understanding. 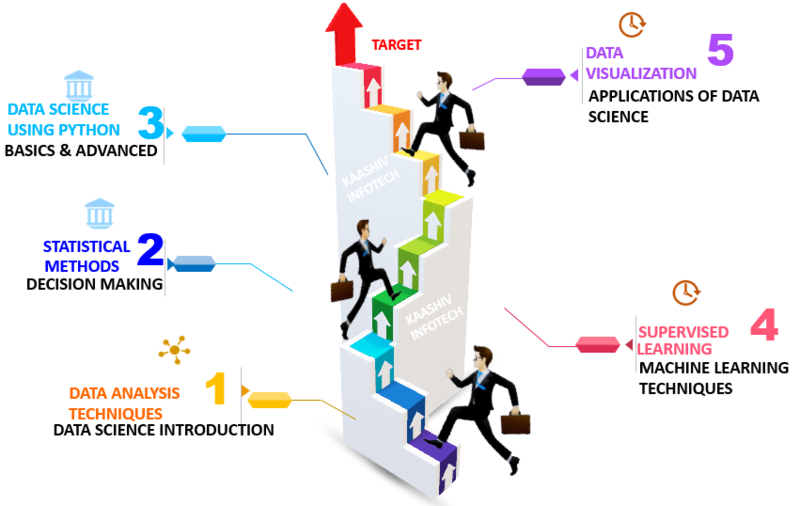 Why Students Enroll for real time Data Science Training in Chennai? There is a huge rise demand for data science and data analytics in the market. A data scientist must be able to coordinate the various level of data and analyze it. Data science has turned out to be one of the important careers in the IT industry. Kaashiv provides the best data science training in Chennai with experienced trainer and makes students as the best Data Scientist. Students undergone Data Science training will be expertise in Data Scientist & Data Analyst. For Data Science Training 120 concepts from Basic to Advanced will be covered.